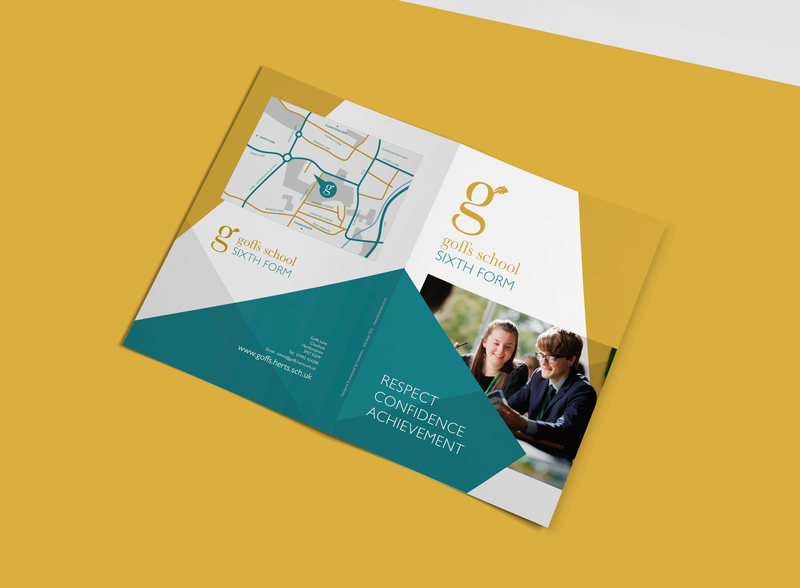 Academic achievement and student destinations were a key focus on the new Goffs Sixth Form prospectus. As such, graphical attainment statistics take centre stage, supported by positive quotations from Ofsted and students. 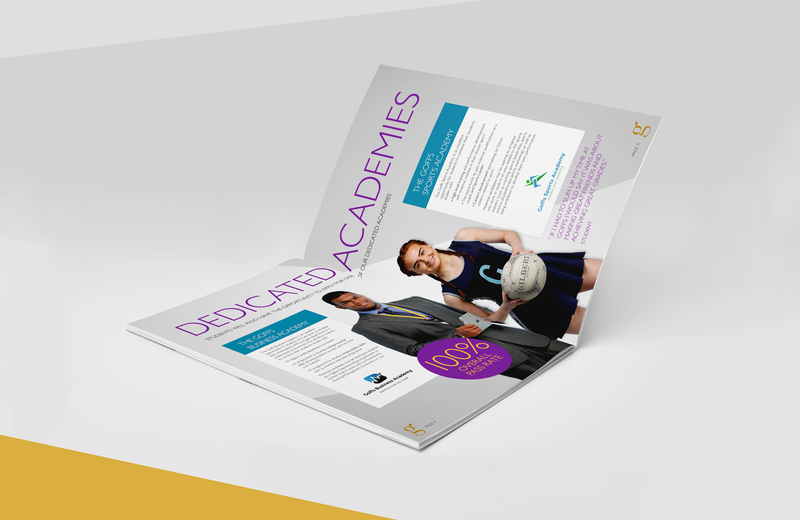 In order to appeal to the target audience, the contemporary design utilised a bold colour palette and geometric shapes. Two days of school photography was undertaken to allow time for staging the cut out shots that feature heavily throughout the prospectus. 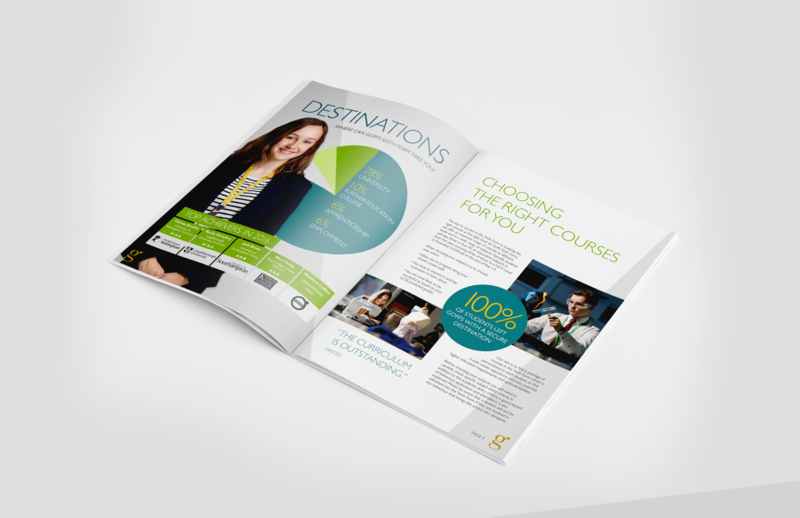 The result is an engaging and informative post 16 booklet, and we are now currently working with the school to update their main school prospectus.